Children of the 70s and 80s rode in the front seat of the car with their parents and sometimes in the back of a truck unrestrained. Nowadays, we know it’s safer to make sure our children are properly restrained. 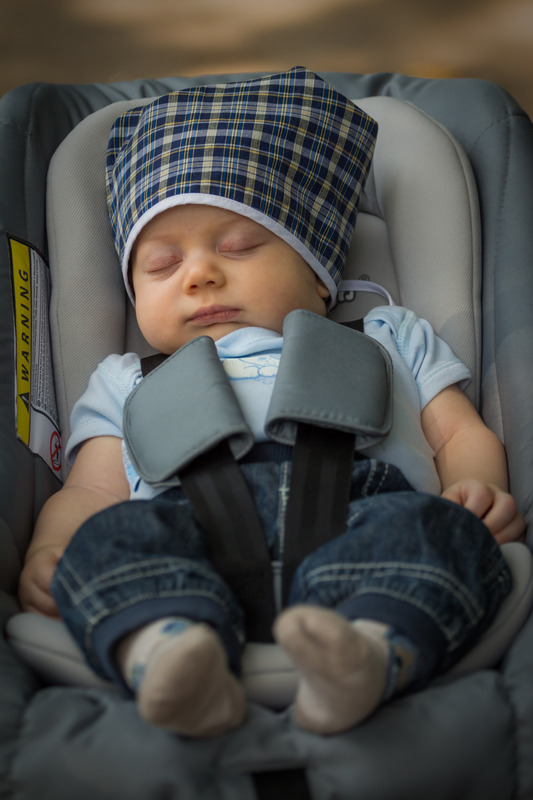 From the time a child is born until the child is between eight and ten, parents need to have a car seat. Depression isn’t typically an illness that we associate with children, but many mental health professionals believe that it should be. According to the American Academy of Child and Adolescent Psychiatry (AACAP), around one in every twenty children in the U.S. suffers from depression today. For parents, it’s important to understand the signs and be able to determine whether their child is simply unhappy, or whether their symptoms are a sign of something more serious. As a parent, you will, of course, hope that depression is something that your child never has to go through, at any stage in their life. However, it’s good to be aware of what to look out for, so that you can be there for your child and offer them the support that they need should they ever become depressed. If you or a close family member suffers from depression or has suffered from this mental illness in the past, then it’s worth bearing in mind that depression can run in the family. Studies show that around 25% of children with a parent who has suffered from clinical depression will experience symptoms of their own. If both parents have suffered from depression, then the risk of the child also becoming depressed rises to around 75%. However, bear in mind that even children with no history of depression in the family can become depressed. Many adults who develop depression can find it difficult to manage the feelings that it causes, so for children, it can be even worse. 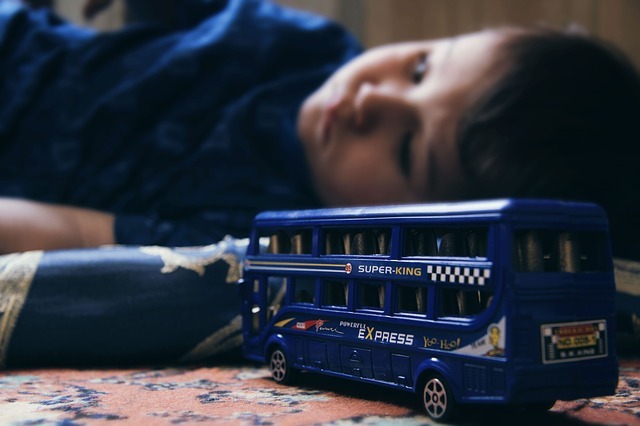 Parents should be aware that depression in children can often manifest as different problems; it’s not enough to assume that if your child is depressed, they will simply be sad all the time. Children with depression may suddenly become more anxious and clingy, their grades at school may suffer, or they may become more irritable with their siblings and friends. It’s also worth bearing in mind that a large percentage of children who suffer from depression also suffer from other disorders, such as anxiety disorder. If you suspect that your child may be suffering from depression, then it’s always better to be safe than sorry when it comes to getting a diagnosis. Taking your child to see a mental health professional who can assess them as early on as possible will help them to recover quickly since treatment can then be provided to help them manage their symptoms and get back to normal health. There are a variety of treatments available for children who are suffering from depression, including counselling, antidepressant medication, and in some cases, TMS therapy such as the depression treatment Los Angeles offered by Smart Brain and Health. Depression is a mental illness that can affect people from all walks of life, at any point in their life. Although it is not an illness that we commonly associate with children, it’s entirely possible for a child to become depressed. As a parent, it’s important to know what to look out for and what to do to ensure your child enjoys good mental health. 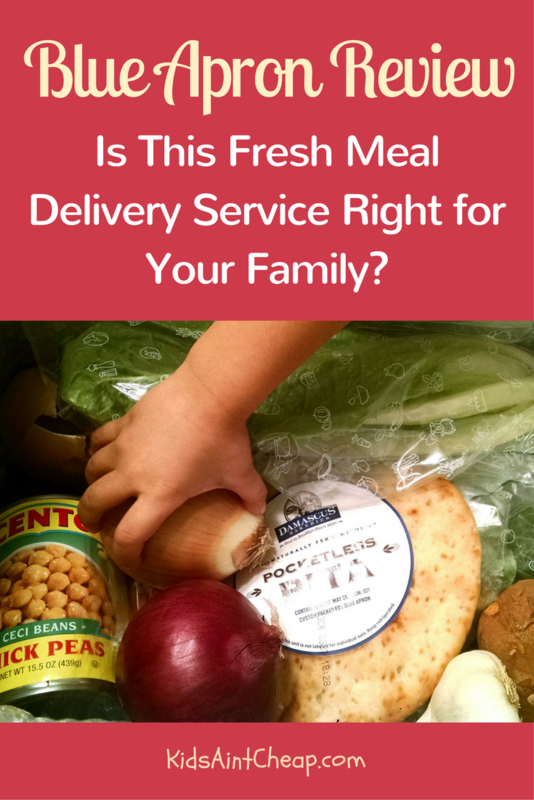 Due to the busyness of life, it’s not always feasible for moms and/or dads to be at home when the kids need to eat. Helping them learn to cook for themselves will help them understand responsibility, self-care, and a new way to have fun. 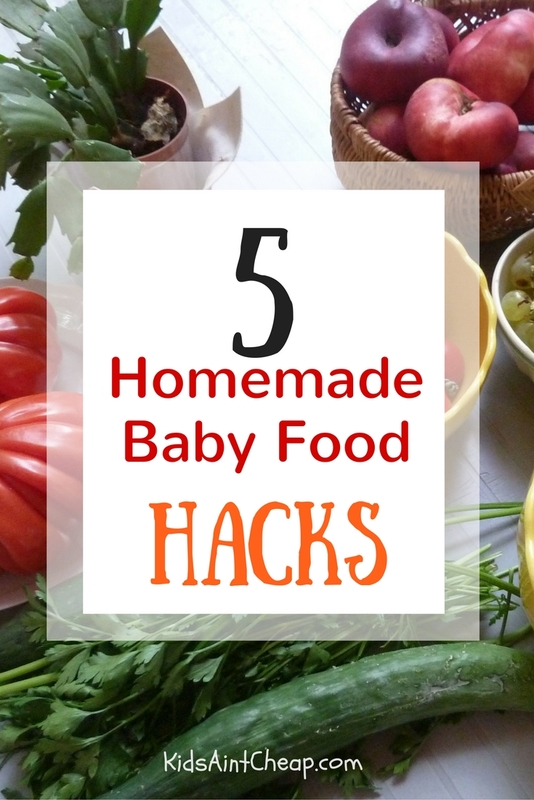 Therefore, here are some fantastic and easy recipes kids can make themselves. As long as your child has been taught how to safely use a serrated-edge knife, there’s no limit to the ingredients they can include in their salad bar. As with a salad bar, sandwiches have endless possibilities and don’t have to be limited to the traditional PB&J. A variety of deli meats, veggies, cheeses and spreads such as mayonnaise, mustard and guacamole will add an extra boost to the plain sandwiches of yesteryear. For example, tuna and chicken salad are quick and easy sandwiches that can be spiced up with simple ingredients. Here’s an easy recipe kids can make themselves. Mix all ingredients in a small bowl and spread on your choice of bread. Add a slice of cheese and/or pre-cooked bacon if desired. 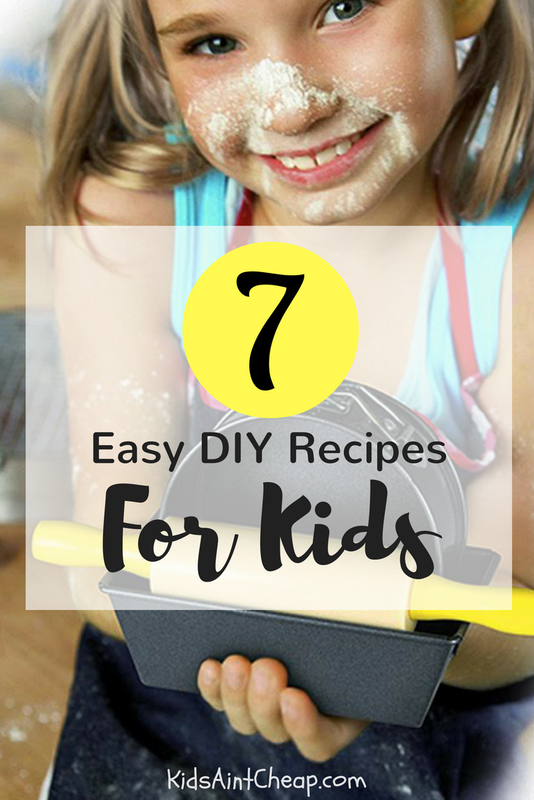 With only seven easy-to-prepare ingredients, your kids can whip up a taco bar that will please the masses. Want to do your taco bar a bit differently? Substitute the taco shells with tortilla chips and have your child put their nacho creation in the microwave for one minute.
) on each muffin half. Add desired toppings. Cover each half with some of the mozzarella cheese. Cook the pizzas in the microwave or toaster oven until cheese is melted and bubbly. This is one of the most popular easy recipes kids can make themselves due to its tastiness and simplicity. Not to mention the health benefits for making it from scratch rather than from a box. Prepare pasta as directed. When finished, drain and return pasta back into pot. Mix in all ingredients. When all of the cheese is melted and the ingredients are thoroughly mixed it’s ready to eat! This healthy and easy-to-make snack is great for after school or after dinner. It makes a terrific breakfast meal as well. In a medium-sized glass bowl, beat cream cheese with electric mixer until smooth. Add remaining ingredients and beat until combined thoroughly. Serve immediately or chill until ready to eat. Serve with your choice of fresh fruit, such as strawberries, bananas or apple slices. This simple dessert can be modified to satisfy a variety of different taste preferences. 1 8-oz. container frozen whipped topping, thawed but still cold. Prepare banana pudding as directed. Add sliced bananas. Place one cup of mixture in a medium-sized bowl or sundae dish. Garnish with vanilla wafers and a dollop of whipped topping. 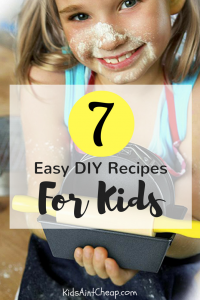 Even though these are easy recipes kids can make themselves, they’re also great for making with your child. 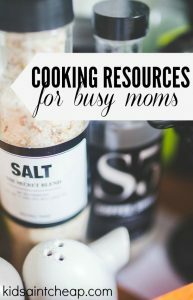 Snag a few of these ideas as you plan your next grocery trip and get ready to make some memories (and a few messes) together with your children in the kitchen. Finally, if you are a parent you know that children can be really expensive to feed. 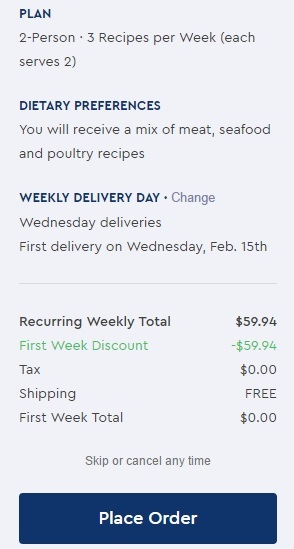 If you are interested in possibly cutting down on your expenses, consider something like Amazon’s subscribe and save. Subscribe and save is good for things like Z-bars, coffee and laundry detergent. If you use a lot of dry staples like these, it might be worth your time to sign up for it. What recipes did you learn to make as a child? Share one with us! When you work full time and are pressed for time after work, preparing and cooking dinner can be a chore. I actually don’t mind cooking but during the week it simply comes down to something I have to do. Host a Big Cook. This isn’t something I’ve done in a while but it is definitely meal prep at its finest. I borrowed the Big Cook cookbook from my local library but have considered ordering it so I can continue to share it with those in my life because I rave about it so much. Though this is initially a lot of work, you end up with many pre-planned/pre-prepped meals you simply need to grab from your freezer and usually throw in your crock-pot day of. This is something I want to do again soon. Pinterest. Like everything, Pinterest is a great resource. I have found many inspiring recipes from browsing on Pinterest. I like being able to organize my pins based on different things; you could have Vegetarian/Chicken/Beef organized boards or more simply breakfast/lunch/dinner ideas. It’s a nice way to start organized digitally. EmilyBites.com. This is one of my favorite websites for recipes. It’s well laid out with great visuals. 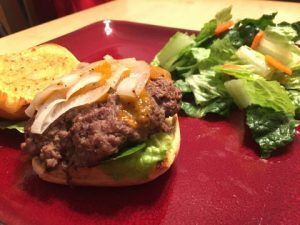 I don’t love most recipe websites because I find they’re usually quite overwhelming, but Emily Bites is focused on good tasting, healthy-versions of family favorites. I’ve never made something I didn’t love. 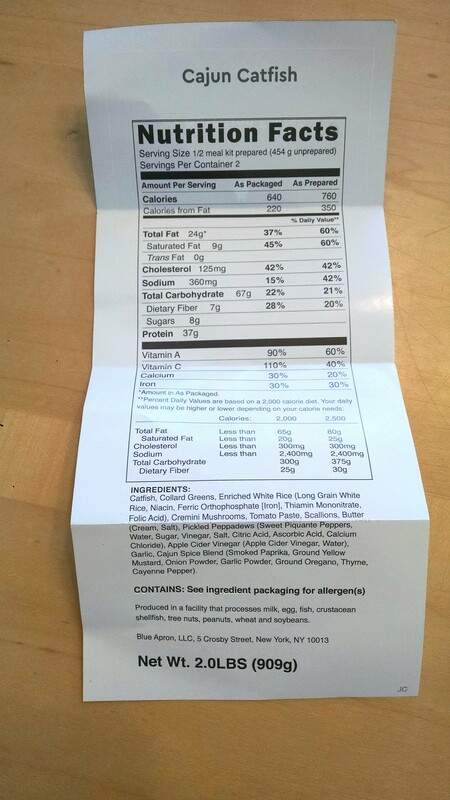 She offers ‘’extra’’ information too for each recipe like Weight Watchers points values if you follow a particular diet. Skinnytaste.com. Another great website that is well laid out. The thing about this website is that I really like, is that she includes entire weekly meal plans you can follow along with, but if you’d rather she also has it organized by individual recipes. If you’re someone who is super organized she also offers a meal planning book you can follow along with. Finally, her pictures are great too. The hardest part of cooking for my family, is planning what to cook for my family. 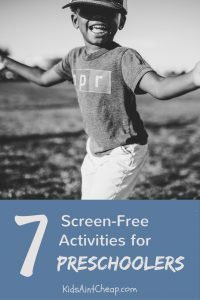 By using a few of these resources taking care of the planning is much easier, even a picky three year old! 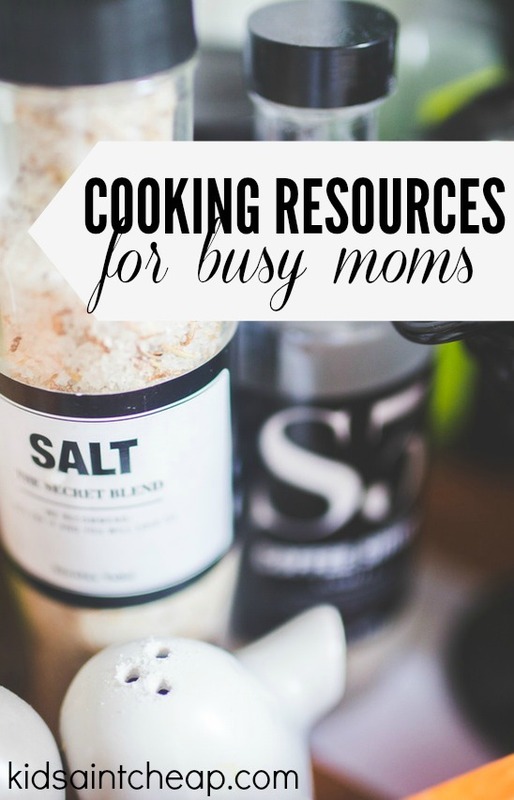 What are your favorite meal planning tools? I want to start by saying I am by no means an expert in nutrition or pediatrics. I am however a mother and woman, to whom this is an important topic to me for many reasons. Growing up as a young girl who was surrounded by pre-teen and teen magazines (thank God the internet wasn’t mainstream yet), I was constantly comparing myself. I remember my first ‘’diet’’. Basically as long as it was low fat or fat free it was ok to eat. So though I couldn’t eat an avocado, sour candies were fine. I was probably around the age of 13/14 and working hard for a six-pack in the gym. It was ridiculous in hindsight. Thankfully it was never really an ‘’issue’’ for me. Though I was attempting to ‘’diet’’ and was going to the gym with my friend (who at 13 was following weight watchers per her family doctors OK), my mom was an educated woman and made sure I was healthy. It actually encouraged her to start going to the gym as well, to quasi spy on me which then led to her own love affair with working out. I don’t know what it’s like to be a young boy, I know boys must suffer from body issues like girls do but likely in a much more silent way. Body ‘’issues’’ are a huge issue. Childhood obesity is also a terrifying statistic. I read an article recently about a pre-K student being diagnosed with Type 2 diabetes (no reference so maybe it wasn’t true), but it’s totally possible. 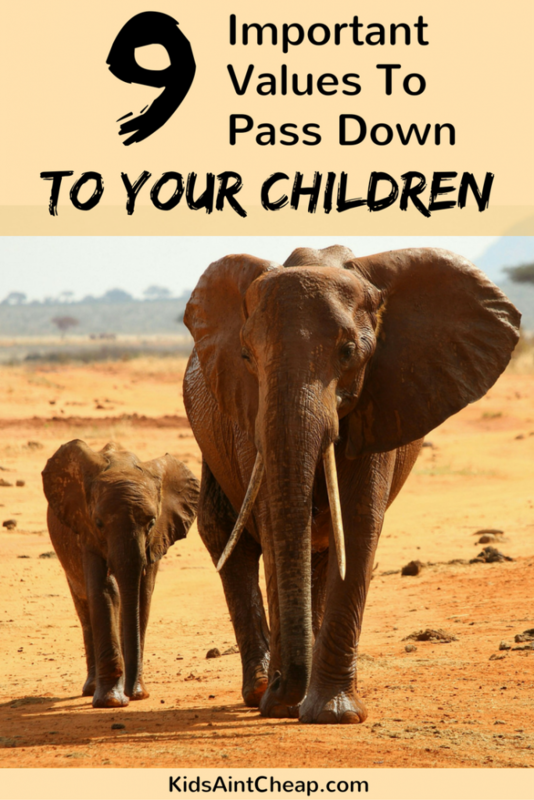 We live in a word of extremes and we as parents have to try and find a healthy balance. We don’t want childhood obesity to scare the life out of our kids but we also don’t want our kids suffering from body dysmorphic issues. We need a middle ground. Healthy habits definitely start at home and it doesn’t need to be complicated. For us, we ensure that our daughter gets outdoor play every day (weather dependant) and on days the weather doesn’t cooperate, we do fun stuff inside. Sometimes she works out with mommy and other times we have a 30 minute dance party. As long as she’s having fun and getting exercise that’s all we care about. At just over three, she’s also involved in helping me in the kitchen. She, like most kids are more apt to eat foods when they’re involved with preparing it. For instance she insisted she didn’t like pizza, until she made one herself (we use small whole wheat naan bread or Greek pita, pizza sauce and low-fat mozza cheese). She loves eating what she creates. Sometimes it’s even just giving her the choice of side ‘’did you want cucumber or grapes as a side tonight?’’ This allows her to have control of the choice without realizing the restrictions you as a parent put in place. Kids, especially young kids, learn so much by what they see in their environment. Our daughter knows mommy likes to go for walks so will often ask if it’s something we can do together. While I’m sure she sees it as time together, she’s also getting fresh air and exercise. My experience as a parent as well, is that parents are scared to talk to their kids about obesity. They’re nervous that it will embarrass their kids or make the kid think you think they themselves are obese. This simply isn’t true and childhood obesity is a huge issue that needs to be talked about early on. There are many ways to bring up the importance of living a healthy life without traditional ‘’fat shaming’’. Rather than teaching your kids to be afraid of something (obesity) educated them as to why it’s important to be healthy. 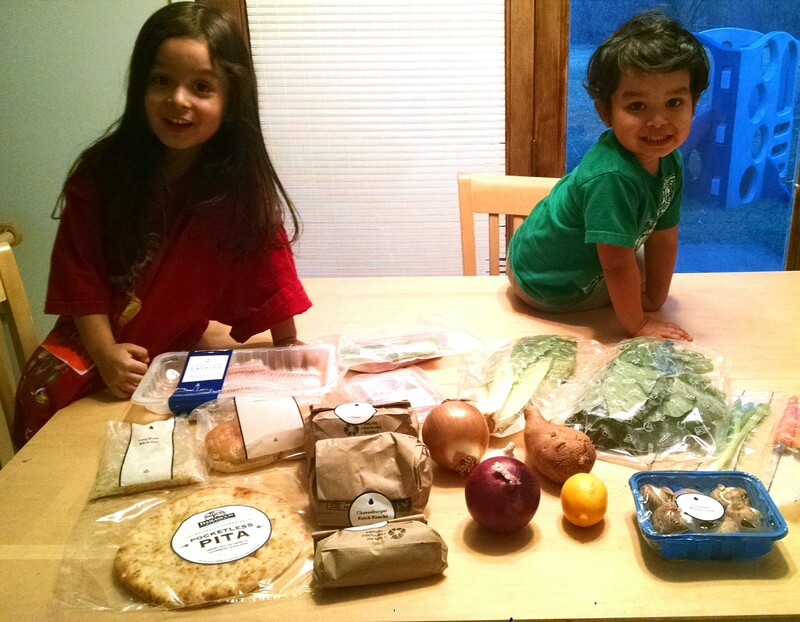 If living a healthy lifestyle is something the family does together it will transcend to children organically. 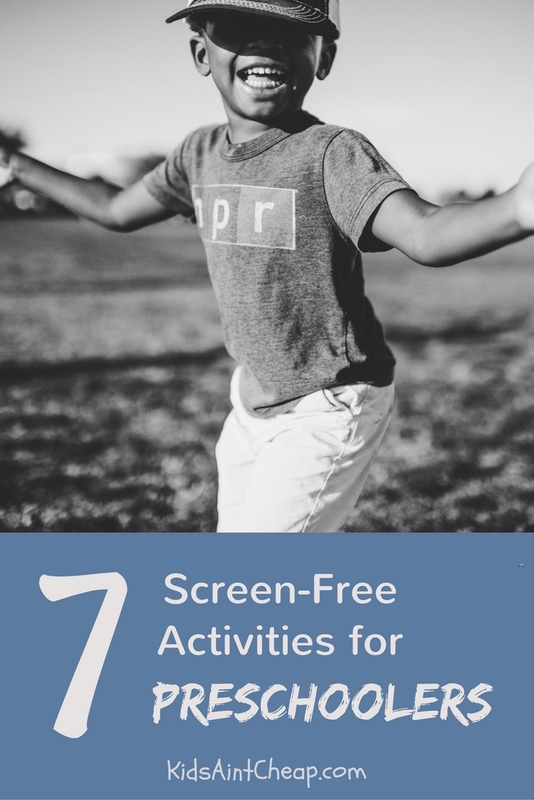 Kids who know healthy balanced lifestyles will continue to live one, and if they don’t as they age, they will at least have the education to make informed choices. 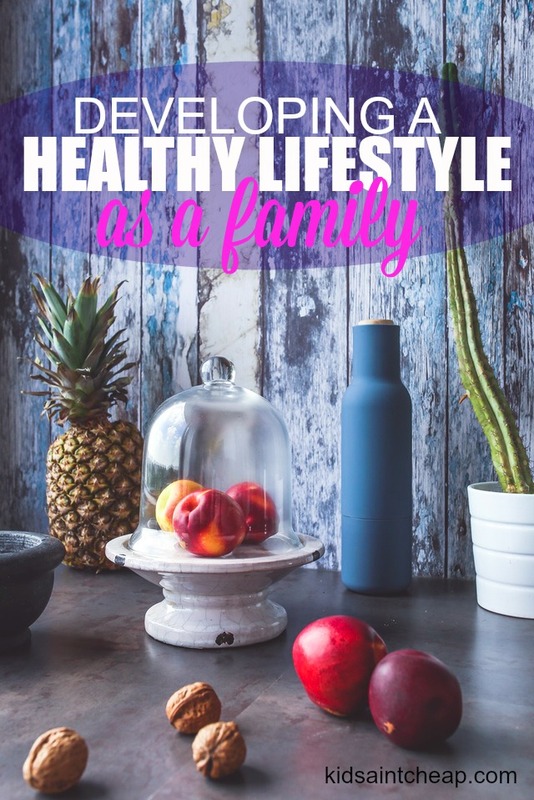 How do you make healthy living apart of your family? Exercise is something that’s always been important to me. Growing up, my mom treated the family every year to a family membership at a local rec center. We loved it! We had unlimited access to multiple swimming pools, skating rinks, classes for all ages and as we got older we capitalized on the use of the gym. Having a rec center membership isn’t an option for everyone. Not only does everyone not necessarily have access to a rec center, they can be expensive. For us as a family, while we work towards other financial goals, we’ve opted to not have a membership and instead stay fit with what we can do at or from home. Most things are pretty cheap, if not free. This is the easiest way to stay fit. Go for a walk, ride a bike, find a place to hike. The best shape I’ve ever been in was when I was walking 5km every day round trip to school. Since we don’t have access to a rec center my husband recently bought a new bike that was on summer clearance. This is something he’ll be able to use for years to come and didn’t cost much at all! I love walking and when I’m home with kiddo I like to put her in the stroller and walk around our neighbourhood. Hiking is another favorite activity of mine though I don’t get to do it as often. When I was home on maternity leave I would search for YouTube exercise videos to help with the baby weight. Combined with a good diet and regular walks with the baby I got to my pre-baby weight. There are entire YouTube channels offering free workout videos depending on what you’re looking for. There are entire companies out there that were established to make working out at home possible. I recently started following the video series of one of these programs and actually really like it. I can do it from the comfort of my home and all I need is a few cheap weights (check local second hand stores or garage sales), and a yoga mat. Be careful you don’t get sucked into buying some of these companies’ nutritional supplements though. They usually have a reasonable ‘’first time’’ price but can get you on subsequent orders. Eat a well-balanced diet and exercise, you don’t need fancy supplements. Our local library often has fliers advertising free or cheap classes, everything from toddler ballet to 65+ Tai Chi. Some of the courses are free (Yoga in the park every Sunday! ), but some have a small fee associated. When I was in university I partook in a cheap learn to run course and it was a great experience, I was especially thankful for my tight budget! 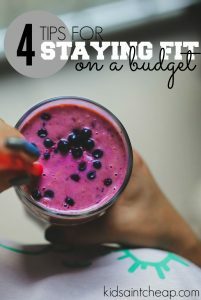 Some people only think of fancy gyms and pools when it comes to losing weight and staying fir when the reality is that you can live a very healthy life without paying for anything. Do you have any tips for staying fit on a budget?